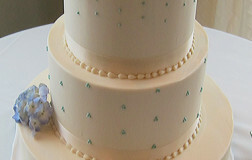 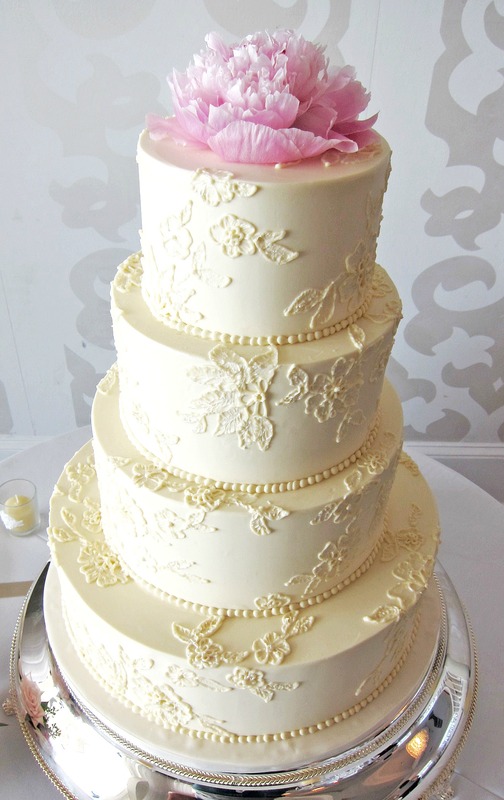 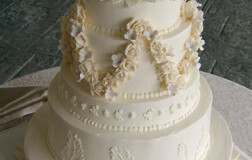 Design shown on this wedding cake at Belle Mer was replicated from the bride's wedding gown. 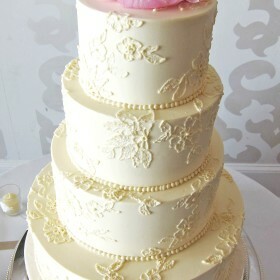 We love using new inspirations…the outcome is original & beautiful. 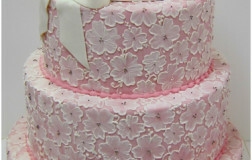 Pattern was replicated from the bride’s dress. 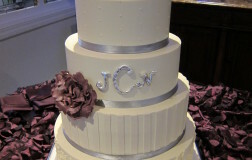 Fresh flower was provided by the bride. 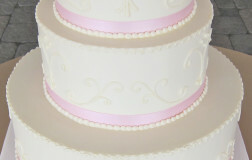 Round cake stand was rented from Scrumptions. 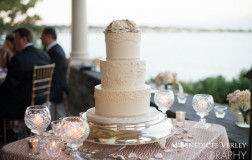 Such a stunning look for a Belle Mer Wedding. 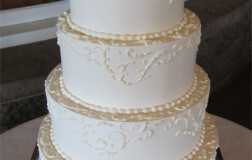 This intricate pattern is all hand piped and creates an elegance that will be remembered forever. 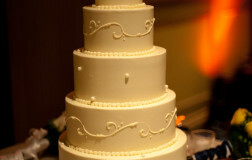 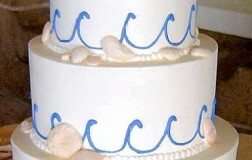 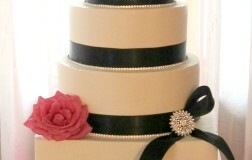 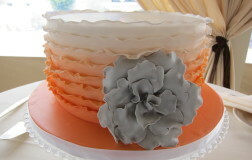 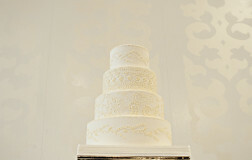 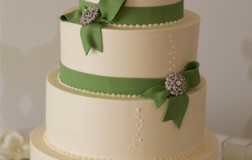 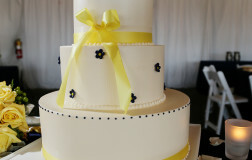 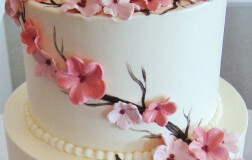 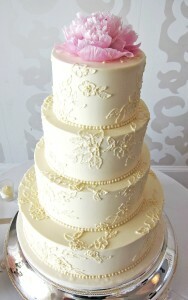 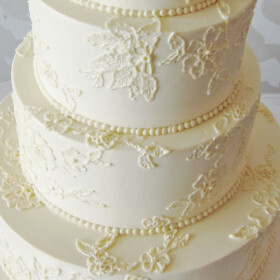 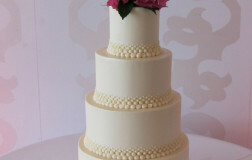 Choose simple designs on your wedding cake if you are looking to achieve an understated, yet elegant ambiance. 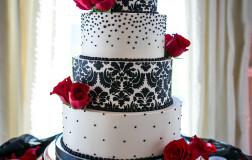 This pattern will always remain timeless. 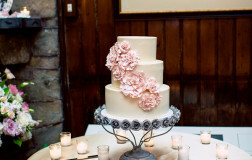 A wedding cake not only serves as a dessert to your guests, it also serves as a centerpiece to the wedding. 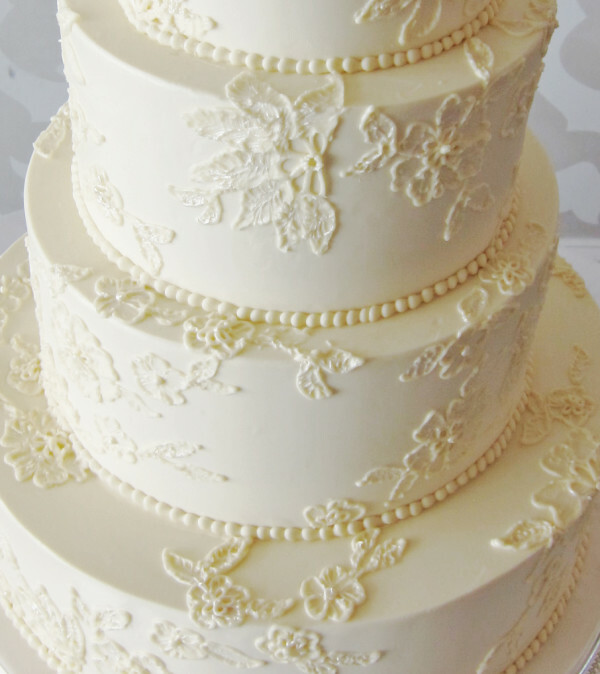 Look at how beautiful this cake looks on the table. 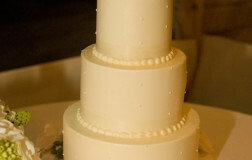 The candles add a romantic feel.